Cathy Malchiodi, PhD, LPAT, LPCC, ATR-BC, REAT is a leading international expert, syndicated writer, and educator in the fields of art therapy, expressive arts and arts in healthcare. She is a research psychologist, a Board Certified and Licensed Professional Art Therapist, Registered Expressive Arts Therapist, and Licensed Professional Clinical Counselor, and has had over 25 years of experience and education in trauma intervention and disaster relief and integrative approaches to health. Cathy is the founder, director and lead faculty member of the Trauma-Informed Practices and Expressive Arts Therapy Institute, dedicated to teaching trauma-informed intervention that integrates expressive arts, neurobiology, somatic approaches, mindfulness, and positive psychology. In particular, it supports the specific use of expressive arts therapies including art therapy, music therapy and movement therapy, play therapy, dramatic enactment, humor and mind-body approaches for recovery and wellness in children, adults and families. Cathy is also the President of Art Therapy Without Borders and is one of its founders. Publications & Syndicated Writing. 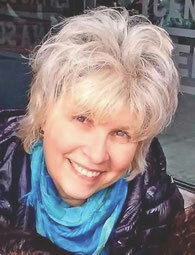 Cathy has published numerous books, including, The Art Therapy Sourcebook, The Soul’s Palette: Drawing on Art’s Transformative Powers, Creative Arts and Play Therapy for Attachment Problems (co-editor), Breaking the Silence: Art Therapy with Children from Violent Homes, Handbook or Art Therapy (1st and 2nd eds. ), Expressive Therapies, Creative Interventions with Traumatized Children (1st and 2nd eds. ), Medical Art Therapy with Adults, Medical Art Therapy with Children, and Understanding Children’s Drawings, all of which are standards in the field. 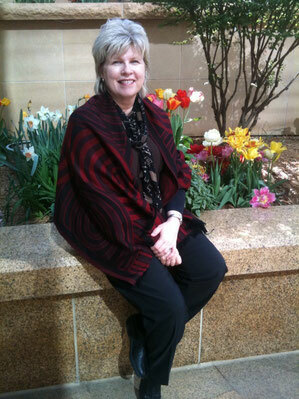 She has served as Editor for several journals including Trauma and Loss: Research and Interventions (8 years) and Art Therapy: Journal of the American Art Therapy Association (ten years); she has also published more than 50 invited book chapters and refereed articles and reviews various mental health and medical journals. Cathy’s blog, Arts and Health at Psychology Today Online covers topics related to art therapy, expressive arts therapy, trauma, body-mind approaches, neuroscience and the arts, creativity, and integrative health practices (with occasional bouts of humor). It has been visited by more than 3.5 million readers since 2008, probably making her the “most widely read art therapist” on Planet Earth. Teaching. A popular speaker, Cathy has given over 400 invited keynotes, workshops, and courses for organizations, agencies, hospitals, universities and colleges and conferences throughout the United States and internationally. She has been an Adjunct Professor at Lesley University’s Expressive Therapies Department, Adjunct Faculty at Prescott College Expressive Arts Therapy Program and has been a visiting professor at numerous universities throughout the US including University of California Sacramento, University of Utah, University of Oklahoma, University of Louisville, Southern Illinois University Edwardsville, Southwestern College, Prescott College, and Florida State University. Trauma-Informed Care. Cathy is a recognized force in international education, program development and advocacy for trauma survivors and the accessibility of trauma-informed care. She has had more than 30 years of experience facilitating art therapy and expressive arts therapies as trauma-informed intervention with children, adults, families and communities. Her work includes providing services and programs to children and women exposed to domestic violence; physical abuse and neglect; sexual abuse; witness to homicide and violence; disaster relief; and medical illness, including grief and loss. Cathy’s recent work with the Department of Defense and military and their families focuses on resilience-building and posttraumatic “success” with those challenged by posttraumatic stress and/or traumatic brain injuries. For more information about Trauma-Informed Art Therapy and Trauma-Informed Expressive Arts Therapy, please visit the Trauma-Informed Practices and Expressive Arts Therapy Institute for links to courses, trainings and resources. Art Therapy/Expressive Arts Therapy and Integrative Medicine. In 2012, Cathy completed an edited volume for Guilford Publications, Art Therapy and Health Care; it is the first comprehensive volume on arts-based practices in health care environments and addresses psychosocial, physical and spiritual issues across the lifespan. Cathy is currently working on the development of a comprehensive educational program to introduce a wide range of health care and mental health professionals to arts therapies in health care and as a component of integrative medicine. Consultation. Cathy has provided consultation and expertise to a wide variety of community, educational, national, and international agencies, including the International Child Art Foundation, National Institute for Trauma and Loss in Children, Department of Defense, Issues Deliberation America/Australia, American Art Therapy Association, International Medical Corp, and Save the Children Foundation, among others. She also maintains an active consultancy for attorneys and courts, providing expert forensic opinion on children’s and adults’ drawings and art expressions used as evidence in legal matters ranging from child abuse and interpersonal violence to criminal offenses. Service. Cathy is a recognized advocate, change-agent, and innovator, having designed and developed art therapy programs for children, adolescents, adults, and families, particularly with survivors of trauma and those with medical challenges. She has also provided almost 3 decades of service as a board member of a variety of non-profit organizations including the American Counseling Association (ACA), distinguished as the first Representative to the ACA Governing Council from the Association for Creativity in Counseling (ACC); President of the Association for Humanistic Counseling; Board of Directors, Secretary and Treasurer, American Art Therapy Association (AATA) and numerous Committee Chair positions (Ethics, Membership, Publications, Finance, Strategic Planning…okay, just about every committee in the organization); Delegate to 20/20 National Future of Counseling Task Force for American Counseling Association; Research and Ethics Committees of the Society for the Arts in Healthcare; International Advisory Board, International Child Art Foundation; and on other national and international boards in mental health, counseling, arts, and public service. Awards. In honor of her clinical and academic contributions, Cathy is the first person to have received all three of the American Art Therapy Association’s highest honors: Distinguished Service Award, Clinician Award, and Honorary Life Member Award. She has also received national honors from the Kennedy Center and Very Special Arts (VSA) for her art therapy work in the US, Hong Kong and Beijing; Presidential Award from the Association for Humanistic Counseling; and the 2011 William Steele Award for contributions in the field of trauma from the National Institute for Trauma and Loss in Children. Advocacy & Leadership. Cathy’s current passion includes bringing together the art therapy community worldwide; to this end, she became the community organizer for the International Art Therapy Organization Group in May 2009, a network of approximately 7000 professionals and students across the globe and is a co-founder of the Art Therapy Alliance, coining the use of the term “art therapy alliance” and designing the original logo to define a community network of like-minded individuals with interests in art therapy for health, social action, and transformation. In April 2010, she co-founded the non-profit organization Art Therapy Without Borders, dedicated to using art therapy to wake up the world through service, education, research, and global networking. Cathy is the current and first President of ATWB and has built its social media presence to over 100,000 followers. Media. Cathy is regularly interviewed by the news media in publications such as Prevention, Better Homes & Garden, Women’s Day, Family Circle, Cosmopolitan, Psychology Today, Congressional Quarterly, Alternative & Complementary Therapies, Boston Globe, New York Times, US News & World Report, Freud TV, and in other print and internet sources. Topics include art therapy, arts in healthcare, expressive arts therapy, creative arts therapies, research on art and health, arts and the brain, integrative medicine and arts therapies, and trauma intervention, disaster relief, and mental health issues with children, adults, and families (members of the press and media, please use the contact page to set up an interview). Cathy currently resides in the decidedly weird city of Louisville, Kentucky with husband David and furry feline supervisors and task masters, Zoolee and Finnegan. 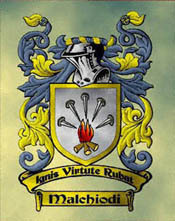 Malchiodi in the World/ Malchiodi di tutto il Mondo on Facebook. If you are on Facebook, join Laura Malchiodi’s group and find your Italian cousins in Italia and around the world.